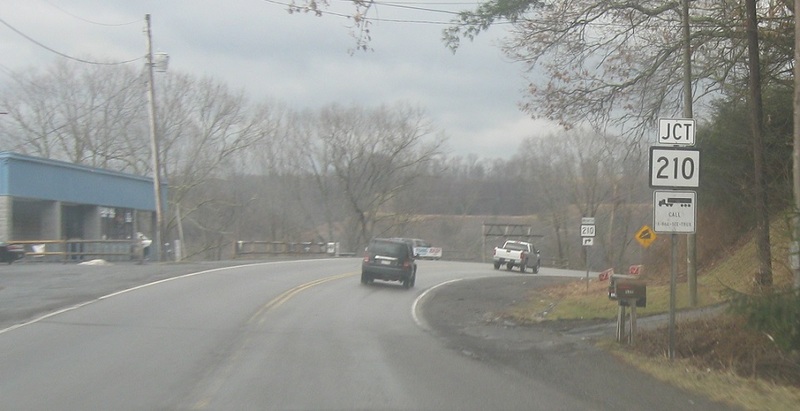 A few blocks after WV 41, keep left to access I-64. 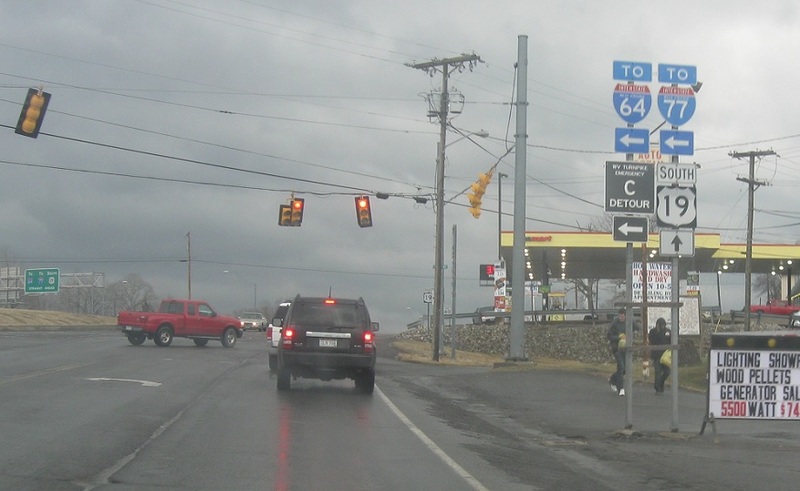 Turn left to follow local roads to the West Virginia Turnpike. 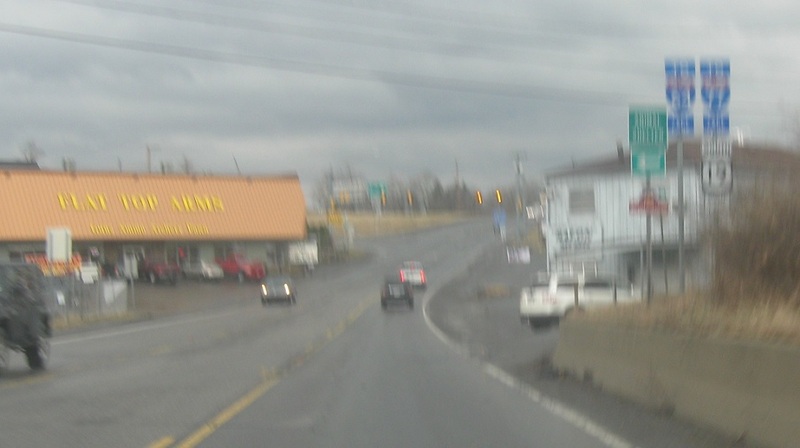 Stay straight to stay on US-19. Reassurance shield after the turnoff to the turnpike. 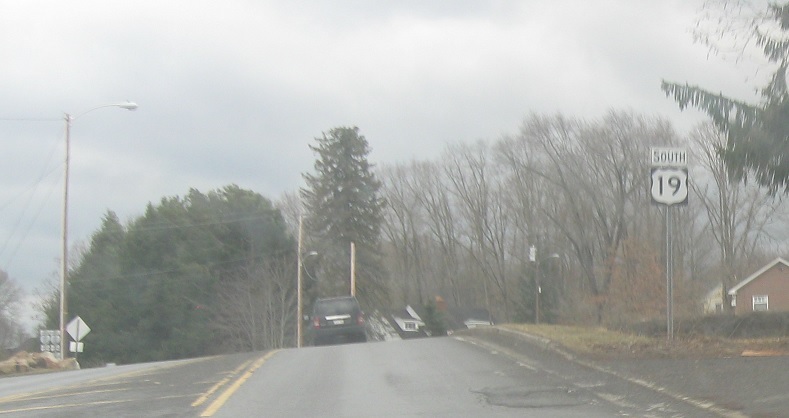 A few blocks later, we’ll approach Route 210. 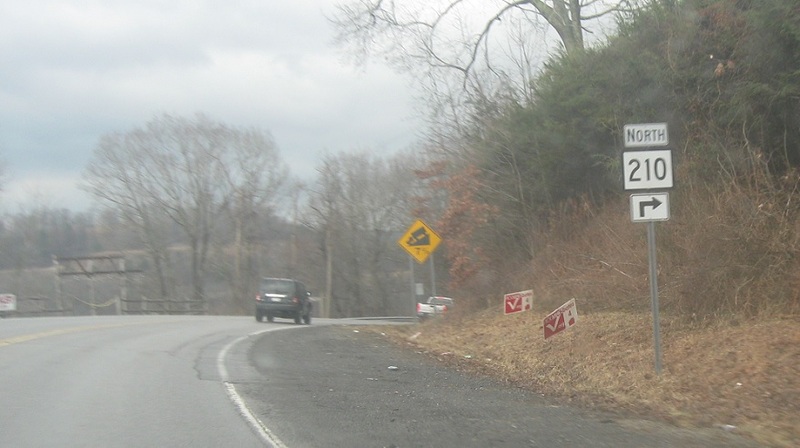 Turn right ahead for 210 north. 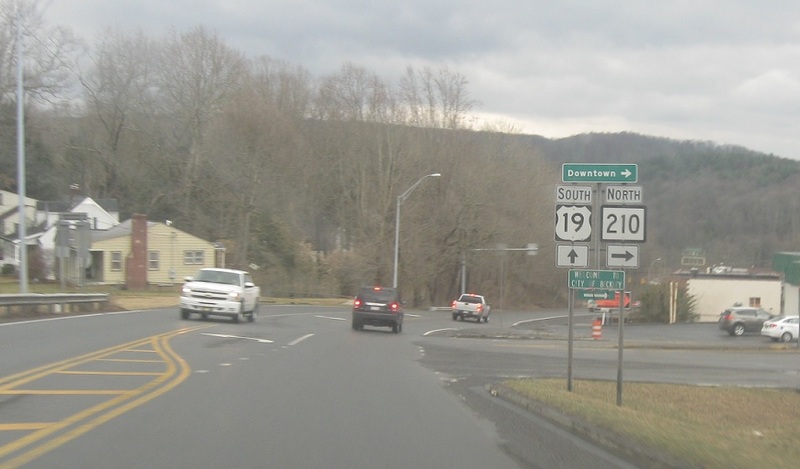 Turn right for 210 north into downtown Beckley.